The newest housing development at the University of Minnesota campus is underway on the corner of Washington Avenue SE and Harvard Street. When completed, the 26-story tower will house 407 units and ground-floor retail space, comprising 429,041 square feet. 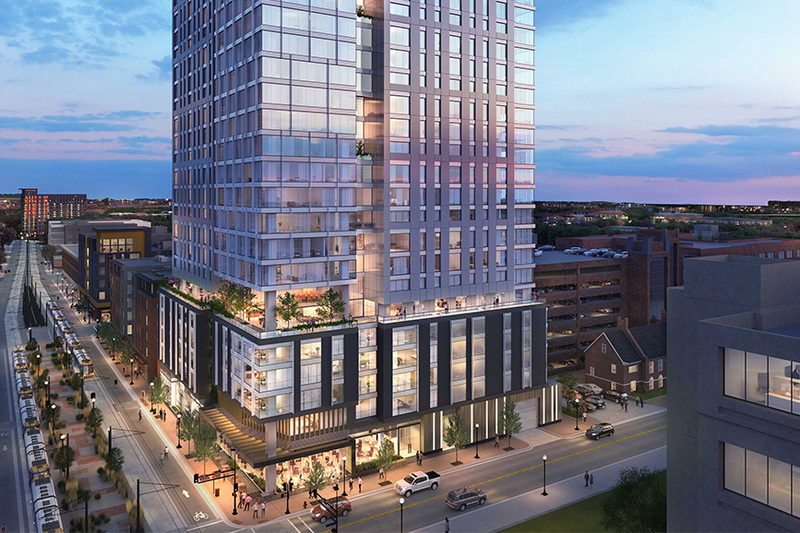 The tower will boast views overlooking the Mississippi River, the University of Minnesota Campus, and the downtown Minneapolis skyline.